We invite prospective families/students to visit our school. Call 215-322-9597 to arrange a tour! Complimentary membership for families whose oldest child has not entered 3rd grade. Complimentary Hebrew School for all members until student reaches 4th grade! Ohev Hebrew School’s PreGAN (pre-kindergarten) class with Miss Denise Kaplan for 3 and 4 year olds meets on Sunday mornings from 9-11:30. Our Gan (kindergarten) class with Morah Michele also meets Sunday mornings. Both classes feature fun activities with music, art and Hebrew Through Movement! Call 215-322-9595 or email bglickman@ohev.org for more information and to enroll! The faculty and I are very excited for our Hebrew School year! We look forward to continuing our partnership with you in fulfilling your children’s Jewish education! Teachers have planned many ways to supplement real-time Jewish classroom experiences, deliver engaging curriculum s well as employ innovative teaching methods. Our ongoing goal is to build a strong foundation for Jewish learning while giving students the joy and love for Judaism. As partners and collaborators, our families’ involvement is welcome and always encouraged. Current families are encouraged to call, email or visit me to share how wonderful your child(ren)’s experiences are, or to share an idea or communicate a concern. I also invite prospective families to email (bglickman@ohev.org) or call (215-322-9597) me to arrange a personal tour. We continue to ensure a fantastic year of learning, enthusiasm and growth! Together we can create a bright and joyful home of Jewish education. Ohev Shalom of Bucks County Hebrew School is a proud participant in the PJ Goes to School program sponsored by PJ Library. Learn more by visiting www.pjlibrary.org. 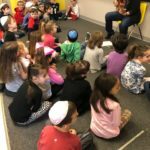 Our supplementary Hebrew/Religious School program provides Jewish education for children in kindergarten through tenth grade. The course of study offered delivers academic and experiential knowledge of Jewish tradition, culture, prayer, history and Torah. Curriculum is designed to develop fluency in reading Hebrew, comfort and familiarity with the Siddur and Jewish liturgy, and a basic understanding of prayers. Sunday program for PreGan (Preschool/PreKindergarten), Gan (Kindergarten), Kesher (First Grade) and Mechina (Second Grade) and is open to children from the community, both members and non-members. The classes meet for two and a half hours on Sunday mornings. 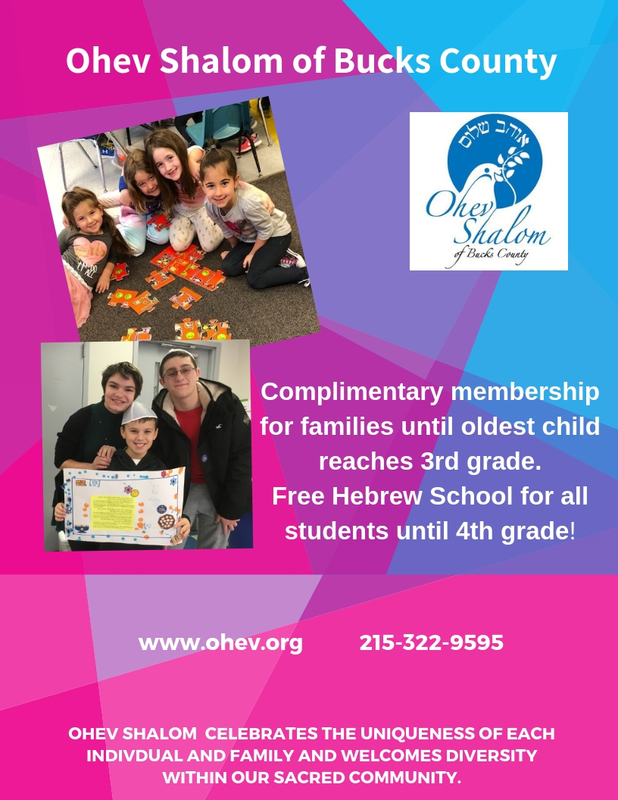 The four-year Hebrew School program (Third through Sixth Grades) is open to the children of Ohev Shalom members only. Students attend two days a week (Wednesday afternoon and Sunday morning) for a total of 5 hours. Tichon at Ohev, our Hebrew Middle/High program, for 7th, 8th and 9th grade meets once a week, usually on Wednesday evenings for 2 hours and includes dinner! Occasional trips on Sunday as well as other holiday program may fall on a different weekday. Confirmation for 10th grade meets with Rabbi Perlstein and Cantor Annelise from 5:30-7:45 and includes dinner with our Tichon 7th, 8th & 9th graders. Supplements and reinforces classroom learning. Encourages participation and involvement in the Jewish community. Music and trope with Cantor Annelise Ocanto-Romo. Examples include A Hero in Heaven, Jewish War Veterans, Olive Oil Press Workshop, Israel Shaliach (emissary), the Anti-Defamation League, NOVA, and many others. The entire school visits the Jewish Relief Agency warehouse in Philadelphia to pack and distribute food to those in need. Based on the spiral curricular concept in which students visit similar areas of study each school year but on an increasingly sophisticated and theme based level. Our goal is to continually challenge our students to understand concepts more deeply; we facilitate their religious and spiritual growth and development, and share with them the joy and excitement of Jewish living. Students entering Aleph (3rd Grade class) begin a more intensive course of study, approximately half of which is dedicated to learning how to read, decode and pray in Hebrew. Once Hebrew decoding is introduced, the focus turns to familiarization of the Friday night and Shabbat morning services. Basic prayer themes, key words and chants associated with each prayer are learned. The meanings of words and prayer are evaluated and shared. The long-term goal of our Hebrew/Tefillah (prayer) curriculum is to enable our students to walk into any Conservative synagogue and find the place in the Siddur (prayer book) during a service. In addition to the Friday night and Shabbat morning services, students study some other central prayers associated with holidays, life cycle events, and home rituals. 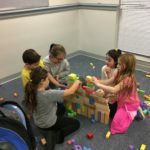 Hebrew Through Movement, a total physical response approach to learning the Hebrew language is used with our younger classes. Click on the link below to access Cantor Annelise’s T’fillah recordings! An interactive, experiential Hebrew Middle/High School program which is geared towards students in 7th through 10th grades. Meets Wednesday evenings from 6:30-8:30PM and includes dinner, or meets on an occasional Sunday or other weekday. 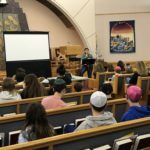 Ohev Shalom 10th graders in the Confirmation Class, attend a weekly session with Rabbi Perlstein on Wednesday evenings from 5:30 – 6:30, then have class with Cantor Ocanto-Romo and join the 7th, 8th and 9th graders for dinner. Knowledgeable, experienced and passionate teachers who engage the students in enjoyable and enriching learning experiences, while strengthening relationships throughout our community. 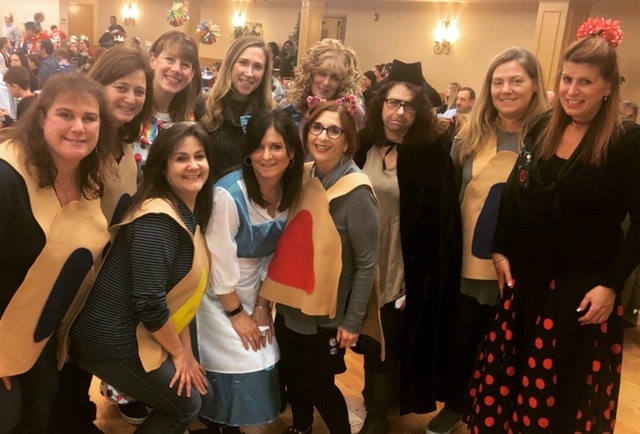 Teachers who know how to make Judaism come alive in the classroom and connect with their students to provide meaningful learning experiences. Teen assistants, madrichim, who are knowledgeable and passionate about Judaism and are role models for students. Ohev Shalom is committed to providing a high quality, experiential and meaningful Jewish education in a warm and nurturing environment. 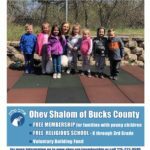 Barbara Glickman is the Education Director at Ohev Shalom of Bucks County. This is her sixth year leading the Hebrew School and Tichon at Ohev. Barbara earned a Masters Degree in Jewish Communal Service from Gratz College, where she was a mid-career fellow. She graduated with high honors and won the graduate prize in Hebraic studies. Barbara also has a Bachelor of Science in Psychology from Temple University and studied towards an M.B.A. at Philadelphia University. Prior to her role as Education Director, Barbara taught preschool and 2nd grade religious school at Ohev. She took a year off from teaching religious school to work closely with the Education Committee to help shape the program. She began her career at Ohev in 2007 as a preschool substitute teacher and in 2008 was the inaugural teacher of the 18-month program. Barbara also completed coursework for the Hebrew Through Movement curriculum and as well as other Hebrew and Jewish studies courses. She loves accompanying her family as well as the Ohev Shalom community on their Jewish journey. Denise Kaplan, PreGan PreKindergarten. Denise enrolled her children in a Jewish pre-school and was immediately drawn in to the world of Jewish education. It has become her lifelong career and passion as she has been teaching in a Jewish setting for 25 plus years. She is thrilled to start her second year in a new career setting with the Hebrew/Religious School. She graduated from Georgetown University and William Paterson University, where she earned masters credits and a teaching certificate for early childhood. Her philosophy centers on developmentally appropriate expectations of children. It is her hope to facilitate a love of Judaism and a sense of community while introducing Jewish content to young children. Michele has been teaching Religious School at Ohev Shalom for the past eleven years. 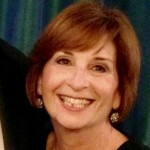 For over 25 years she has been involved with Jewish Education. Michele worked for various synagogues and Jewish Day Schools. Throughout most of her teaching years, she taught Kindergarten and First Grade. Michele truly enjoys working with children of this age. Over the years, she has even taught the upper grades as well. On a more personal front, Michele graduated from Temple University with a Degree in Early Childhood Education and Child Development. She is the proud mom of five great children, ranging in ages from twenty down to ten. Michele feels fortunate to be able to combine my love of children with my love of Jewish Education, by teaching this year’s Gan class at Ohev Shalom! 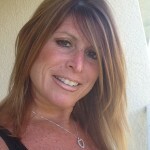 Robin has been a Hebrew School teacher for 16 years as well as a preschool teacher for the past 19 years. 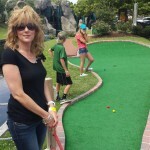 Additionally for the past 19 years, she has worked with young children in a day camp setting. She has taught Sunday school to various grades including first and second, at local Bucks County synagogues. Robin is married for 28 years and has two children who are both college graduates. Her daughter Morgan is a teacher and her son Max works for Disney World in photography. Robin is excited to a part of the Ohev Hebrew School team and can’t imagine doing anything more rewarding than working with young children all year long! Originally from CT, Joyce spent her first ten years of school at the Hebrew day school, The Yeshiva of Hartford. After high school, she met her husband Alan, and moved to Boston then received a B.S. in Health Sciences from Boston University. 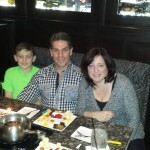 Thirty years ago, job relocation brought them to Bucks County where she and Alan raised their three grown daughters. They attended Ohev’s preschool and Hebrew school through confirmation, and celebrated all of their Bat Mitzvahs here. Ohev has been part of her family for over 25 years! Over the past 8+ years, she has been an assistant preschool teacher. She also assisted and taught 1st, 3rd and 4th grades in the Hebrew School over the past six years. 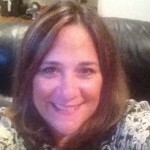 Dena is a graduate of Penn State University and certified in early childhood and elementary education. She has been teaching for 24 years. Currently Dena teaches PreK at Temple Beth Am. 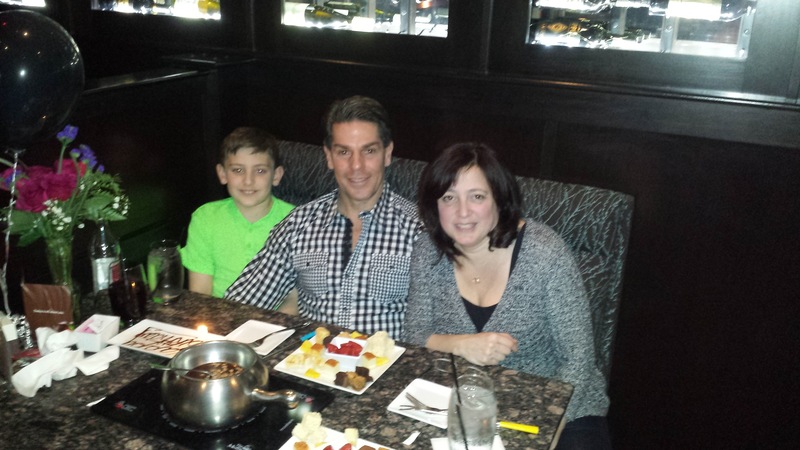 Dena is also a graduate of Gratz Hebrew High School and earned a teaching certificate. 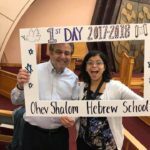 She is starting her 7th year teaching at Ohev Shalom. Dena taught Hebrew school for 12 years at Har Zion Temple in Gladwynne. 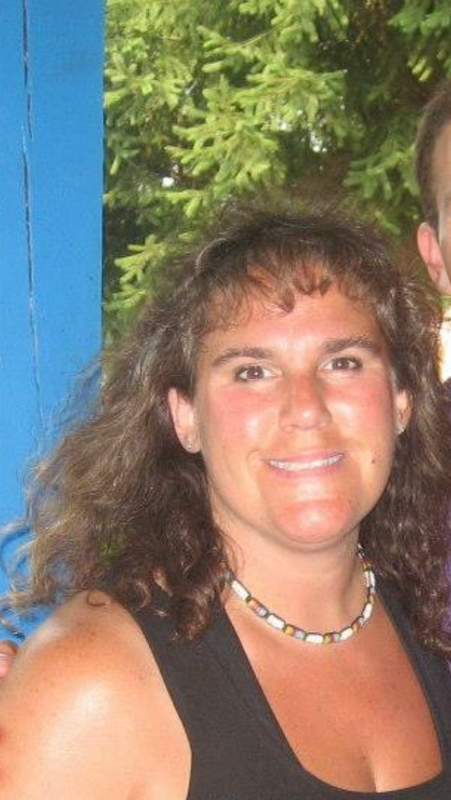 During the past 14 summers, Dena is a senior counselor to 5 & 6 year old boys and girls at Camp America Day Camp. She is married for 23 years and has 2 amazing children, Melissa, an elementary school teacher, and Brett a junior at University of Pittsburgh. Dena is also involved with the Special Olympics and with “Celebrations!” a program sponsored by Ohev Shalom’s inclusion committee. These two volunteer activities make her very happy. 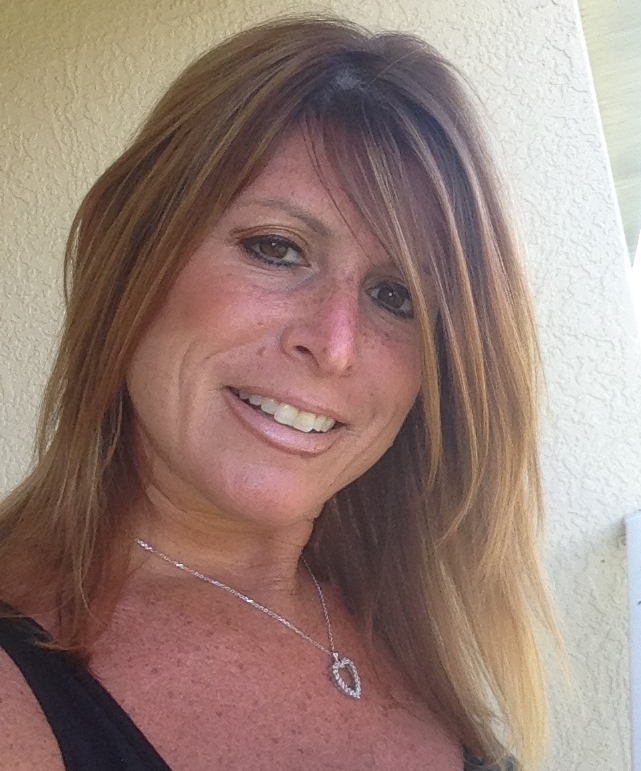 Dena is also an animal lover and has 3 cats that were rescued from shelters. Teaching has made a huge impact on her life and she hopes that she has done the same for her students. Dena feels blessed to be able to do what she loves most which is being able to work with children and make a difference in their young lives. Galit received her BA in Jewish Studies and a Certificate of Special Education in Jewish Studies from Gratz College. She has worked for several area schools including Perelman Jewish Day School as an Assistant Hebrew Teacher where she was for 11 years. Galit mainly worked in the lower grades teaching Jewish Holidays, Hebrew language and traditions. She also taught Hebrew at Gratz College Ulpan for adults, which was mainly conversational Hebrew and grammar. This year will be her 9th year teaching at Ohev Shalom Hebrew/Religious School. 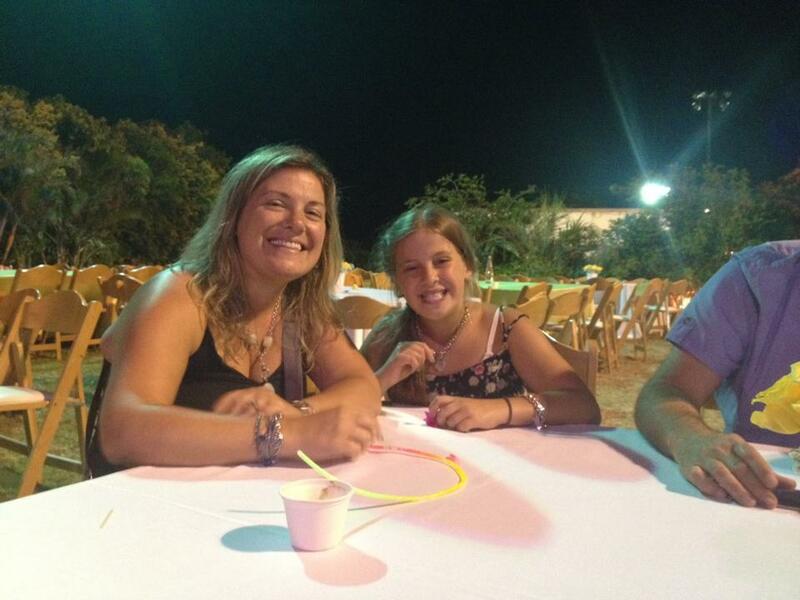 She enjoys working with the kids and sharing with them her love of Judaism and Israel. Marla earned a Masters of Jewish Liberal Studies in 1997 and earned 30 credits past her Master’s. Coursework included the study of the Holocaust. She also studied Secondary Education Foreign Language at Temple University with a Pennsylvania certification to teach Spanish and earned a Bachelor of Science degree in Education in 1990. She graduated Gratz Hebrew High School in 1985. Marla has been teaching Hebrew school since 1987 and has been with Ohev Shalom since 1997. During the school year, Marla is a Spanish teacher at Northeast High School and has been with the Philadelphia School District since 1990. Her passion is Spin so she teaches three cycle classes per week at LA Fitness. 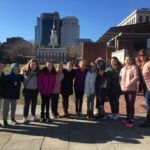 Annie Bloom has been teaching at Ohev Hebrew School for seven years including second, third, fifth grades, and most recently, sixth grade Jewish studies. During the school year Annie teaches preschool at a local synagogue. Annie spends her summers as a preschool camp counselor at Southampton Summer Day Camp. Annie graduated with a Bachelor of Science degree from Philadelphia College of Textile and Science (Philadelphia University) and obtained her CDA (child development associate) in October 2014. She also was confirmed and attended Gratz College to further her Jewish Studies. Previously, Annie taught Parent/Child classes and Sunday school at Beth Israel of Chester County. Annie resides in Southampton and is married to Eric. They have three children Andrew, Lauren and Brian and a rescue puppy named Bailey. 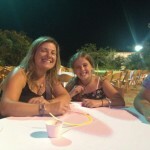 Michelle is spending her fifth year as part of the Ohev Hebrew School team. She is also a B’nai Mitzvah tutor. Michelle has a strong background in Hebrew and Prayer and worked for local synagogues for the past 12 years. Most recently, she taught a Hebrew Through Prayer curriculum to 4th through 7th graders. Her Hebrew/Jewish training comes mostly from having attended Solomon Schechter Day School and Gratz College in the ’70s and ’80s. By day, she is the Inventory Manager for company located in Warminster. Michelle lives in Warwick with her husband and two teenage boys. For fun, she plays softball in a women’s league and enjoys game nights and watching movies with her family. Suzanne collaborates and partners with the Education Director; Staff; families and clergy to design appropriate, supportive environments and accommodations for students in need of specially designed instruction. She reviews existing student’s Individual Educational Plans (IEP), 504 Plans and Individual Health Plans that are shared by families and collaborate with teachers to design Hebrew School Action Plans (HSAP). 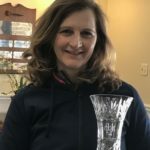 Additionally, she works closely with the madrachim (teen assistants) to help implement a meaningful, positive program for identified students. Suzanne is also the Celebrations! Lead Teacher. Celebrations! meets monthly for children ages 4 through 18 years of age and is designed for students with cognitive, neurobehavioral, sensory or physical disorders. Suzanne is a retired Demonstration Special Education teacher for the School District of Philadelphia. She has enjoyed teaching students diagnosed with a diverse levels of disabilities, including students diagnosed with Autistic Spectrum Disorder, ADD/ADHD, and developmental and intellectual disabilities. She and her husband Larry are members of Ohev Shalom for over 3 decades. Her children Ariel and Jeffrey attended Hebrew School and Confirmed at Ohev Shalom. 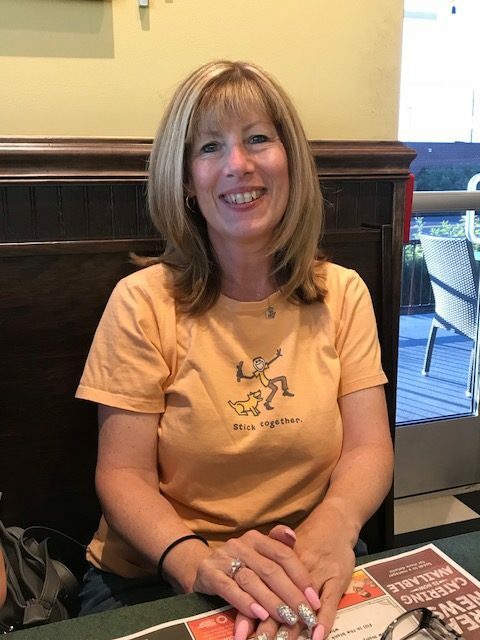 Carolyn Savitzky, Tichon 7th grade – began teaching religious school in 1988 while earning her teaching certification from the South Jersey Bureau of Jewish Education. Carolyn enjoys teaching students of all ages, from pre-school through adult and has worked at a number of synagogue schools in the region. In 2017, Carolyn served as one of the b’nai mitzvah tutors at Ohev Shalom during Cantor Annelise Ocanto-Romo’s maternity leave. 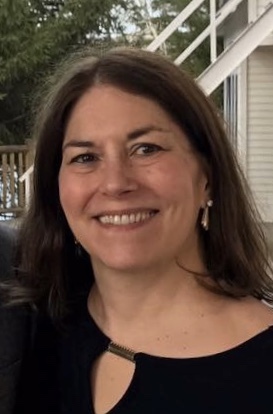 Carolyn and her husband are members of Or Hadash in Fort Washington, PA, where she teaches on Sundays, tutors b’nai mitzvah students and serves on the Board of Directors. She is also active in Hadassah and chairs the Bux-Mont Neighborhood Kehillah. Carolyn looks forward to returning to Ohev Shalom to teach Tichon, 7thgrade on Wednesday evenings this year. SShari is an attorney by day, specializing in family matters. Originally from Lower Moreland, she relocated to Florida and taught Hebrew School 7th grade. Upon moving to Charlotte, NC she taught 5th grade Jewish Studies and Hebrew High school at her synagogue. In 2011 Shari returned to Bucks County and began working at Ohev as the Hebrew School administrative assistant. Lexi Levin, Tichon 8th/9th grades – Lexi received her teaching certificate in Reform Religious Schools from Gratz college in 2013. 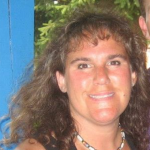 She has been a Senior Counselor at Southampton Summer Day Camp for four years, working with children from ages 4-12. Last year, Lexi assisted Marla Lambert in teaching the Gimel class at Ohev on Sunday mornings. Lexi spends her days working in the Abington School District as an elementary special education teacher and is extremely excited to be teaching Tichon 8th and 9th grade at Ohev Shalom this year! Ohev Shalom celebrates the uniqueness of each individual and family, and welcomes diversity within our sacred community. School Closing Information: A closing message will be put on this website, social media and/or sent via email. Power outages may make it impossible to provide such messages. In most cases, it is our policy to follow Council Rock School District’s closings.